This great part is solid machined from 7075 Aluminum, and hard anodized. It's small, and tough! The attachment hole spacing on this part is a direct fit for the CMAX chassis rails, used for front or rear. This is a perfect match for a leaf spring suspension where a small shock is required only for dampening purposes. There's lots of room up front for this item to mate to the frame and your CMAX leaf spring setup. In the rear, this can also be used instead of the frame crossmember shock mount, and keep the shocks outside the frame on the rear axle. These will fit underneath the popular Blazer and Hilux trucks and clear the box floor with no cutting. 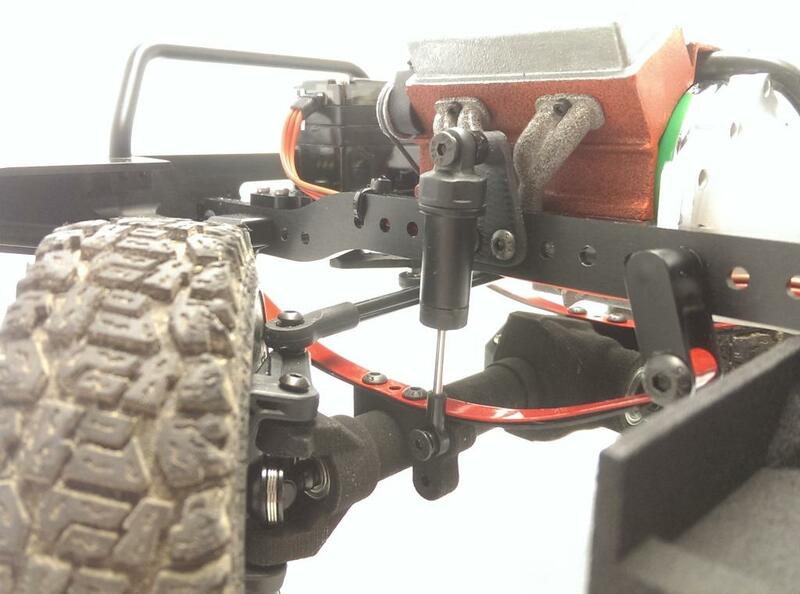 We recommend 58-60mm shocks, ECX213000 for this suspension setup.